This past December, I started with the Nature Trust as a Conservation Project Coordinator to help advance biodiversity conservation for the focal region of Southwest Nova Scotia. This region is a hotspot for an array of wildlife and rare species, including many endangered species like Blanding’s Turtle, Eastern Ribbonsnake, Piping Plover, Roseate Tern, a number of Atlantic Coastal Plain Flora, and more. It also aligns closely with the Mi’kmaq district of Kespukwitk, which means ‘lands’ end’ and has the international designation of United Nations Educational, Scientific and Cultural Organization (UNESCO) Southwest Nova Biosphere Reserve—a title that recognizes the area’s unique natural and cultural heritage. The Nature Trust has been safeguarding private land in Southwest Nova since 2000 and currently protects and stewards 42 conservation lands in the region—over half of which have been protected specifically for endangered species! A map of all of our conservation lands protected under our endangered species program can be found here. There are many other different groups working on conservation and stewardship projects to preserve and protect what makes this region so ecologically and culturally significant. 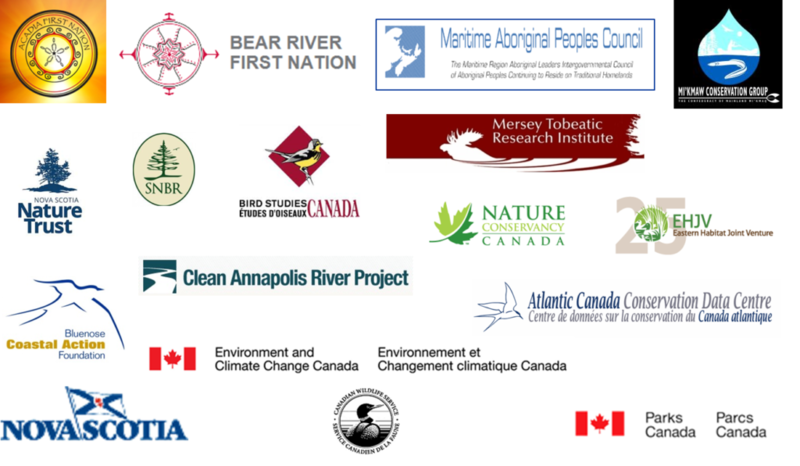 This includes a several NGOs, Indigenous groups, community groups, researchers, and different levels of government. To better coordinate and integrate the groups working in this region, the Kespukwitk Conservation Collaborative was created. 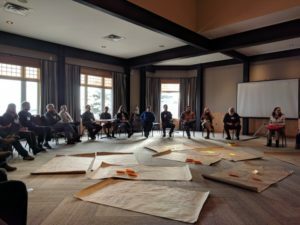 This group is guided by an adaptive management framework, as well as an Indigenous world view through ‘two-eyed seeing’, which encourages practitioners to examine topics and issues using both Indigenous and Western knowledge. Core groups involved in the development of the integrated conservation approach in SWNS. 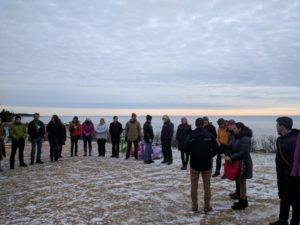 I recently got to attend a workshop on finding synergies for species at risk in Southwest Nova with Kespukwitk Conservation Collaborative hosted at White Point Beach Resort. It is a very exciting time for members in the collaborative because Southwest Nova has been selected as a ‘Priority Place’ under the Pan-Canadian approach to transforming Species at Risk conservation in Canada, a designation that will help advance the group’s efforts to protect biodiversity and species at risk. Topics of discussion included volunteer engagement, prioritization of critical habitat, the Biodiversity Act, two-eyed seeing, and data coordination. Opening circle at the species at risk workshop . We look forward to putting some of the ideas and discussion into practice, as well as using this positive momentum and further building partnerships to make some significant conservation gains for endangered species and biodiversity in this region and throughout the province in the coming months. For those interested in learning more about our work in Southwest Nova, please feel free to get in touch with me at jessica@nsnt.ca.